RS232 input triggers up to 9999 sounds!! Plus 20 alarm inputs trigger 20 user recordable warnings! Pick a message or sound that fits your need! The VoiceOff is an alarm activated voice or sound warning unit that has 20 separate alarm inputs to trigger up to 20 different sound recording files and with the new added feature of an RS232 input can trigger up to 9999 sounds!!! Alarm activations can be triggered from an internal or external PIR, break beam detectors, panic button, keyfob or from a DVR detecting video motion in a camera's footage. Voice warning messages can be downloaded or recorded yourself in a MP3 format onto a removable SD card stored in the VoiceOff unit and used to deter intruders or even welcome visitors. 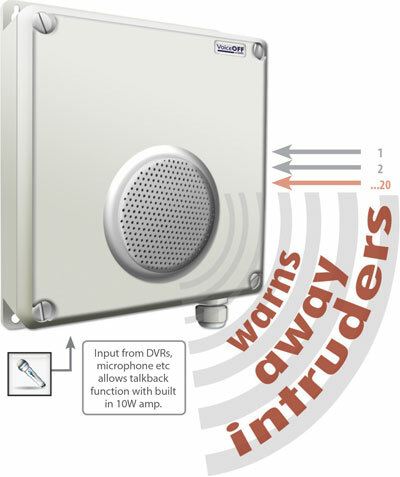 Similarly sound files such as a police siren or dog barking can be used to deter unwanted visitors in vulnerable areas. 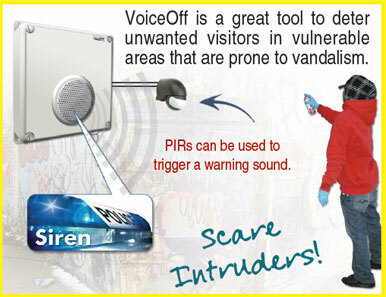 When used in conjunction with the alienDVR range, the VoiceOff can be activated remotely over the internet when a suspicious sighting has been made. Go to www.VoiceOff.com to see our massive range of sounds & messages - end user friendly! Trigger a pre-recorded sound file of a very faint police car siren in the distance to scare off unwelcome visits when an intruder is detected by an alarm input such as a break beam detector or PIR. 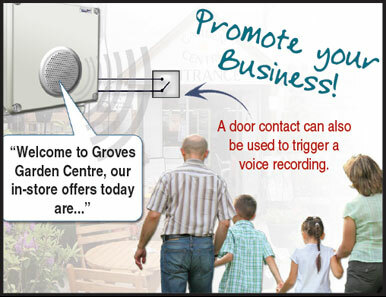 The VoiceOff can use 20 separate alarm inputs to trigger 20 messages so why not use it to welcome visitors to your premises, promote your business or even give directions! 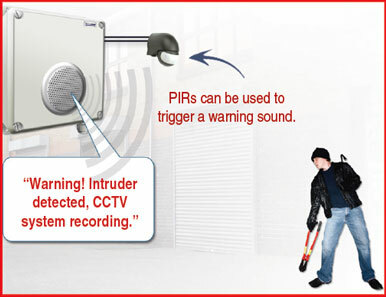 Use a PIR or break beam to trigger a warning message when an intruder is detected. Voice warning messages can be downloaded or even recorded yourself. Use the VoiceOff to give information, especially in areas where health and safety is paramount. 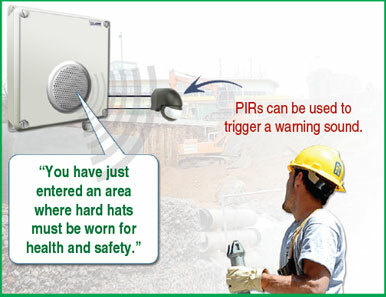 Use a PIR at an entrance to a construction site to inform workers of the possible risks in the area. For new tips sent straight to your mail box, subscribe today!